The Lezyne Sport floor drive pump has a steel barrel and piston with tough composite matrix base. Large 2.5" gauge provides a clear view on the pressure thats in your tyre. With a 220 psi max pressure this is suitable for Road or MTB. Extra long, high strength hose with composite matrix couplers. Durable, painted finish with varnished wood handle. Supplied with Lezyne's ABS2 valve head helps with quick release from the valve. I was in need of a new pump, and this one works great. I'm very pleased with the purchase. Very nice quality wooden handle and a strong steel (not alum) barrel will ensure that it last. Don't throw out the little bit of cardboard that tells you how the fitting works. A casual user might find it pretty tricky, but it works incredibly well for tight spaces like kids' bike rims that don't have the space for the normal 90deg lever style fittings. 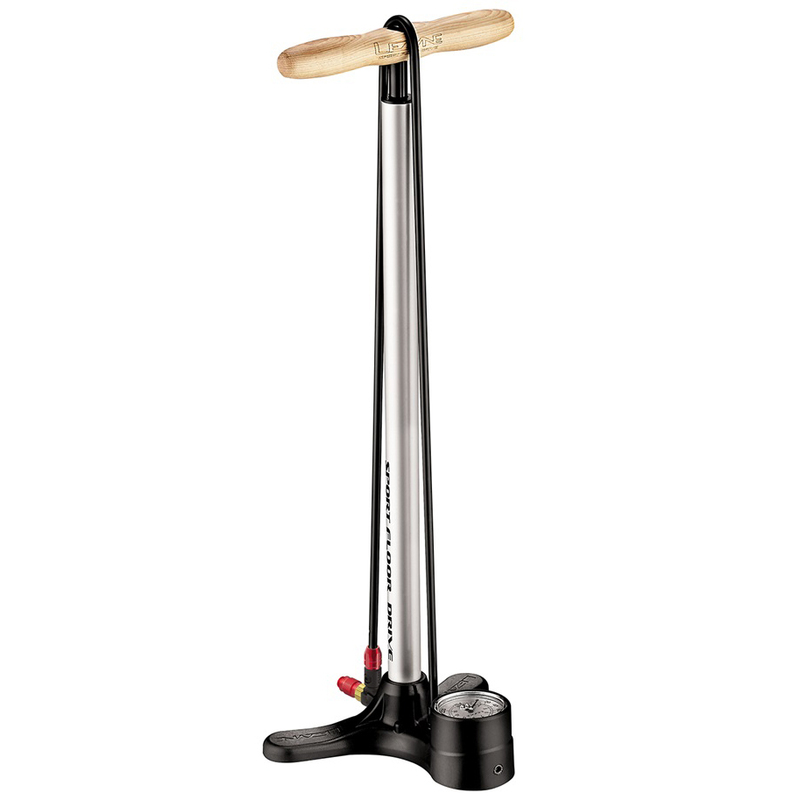 High quality floor pump with a steel barrel, solid base and smooth wooden handles. Valve head easy to use on both Schrader and Presta valves and gauge is large and easy to read. Pumping action is very smooth, easily reach 120 psi without too much effort. The pump design and price were so good that I bought it. They cannot be bought at this price in Korea and China, either. The design is pretty at a really amazing price. I strongly recommend it.